Founded in 1996, La Fée Maraboutée manufactures 95% of its apparel and accessories in Europe. Around 80% of the company’s annual revenue of nearly €50 million is generated by an international network of multi-brand retailers. Given the company’s sales model, in-showroom sales to retailers are considered strategic events crucial to the brand’s growth. For La Fée Maraboutée, showroom events also provide an opportunity to meet with BtoB customers and show the latest collections. Showroom staff are equipped with touch tablets connected to the Moovapps SmartRep solution. The solution provides access to up-to-date data on collections (with the latest information on product cancellations and other decisions made during the pre-season purchasing period), prices following negotiations with BtoB customers, order histories and more. Moovapps SmartRep lets all La Fée Maraboutée sales reps browse the collections, apply filters, move from one product to another by SKU or barcode and display detailed product descriptions. When the tablet is connected to the internet, the application is updated with the latest customer and catalogue information. When the tablet is offline, the application can still be used to place orders. 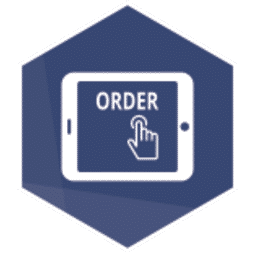 When the tablet is connected to the internet, orders are sent to the connected commerce hub and transferred to sales administration.